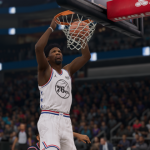 Patch 1.11 has been released for NBA Live 18. The update will come through automatically as long as your PlayStation 4 or Xbox One is connected to the Internet. If you encounter any difficulties, try restarting your console. 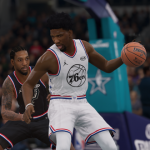 The patch includes rosters updated as of the trade deadline, as well as the 2018 All-Star jerseys and court. 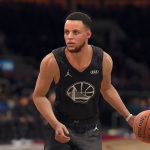 As with the All-Star art updates for NBA 2K18, all of the players are wearing unique jerseys with their respective team logos, as the members of Team LeBron and Team Stephen will be doing in this year’s All-Star Game. 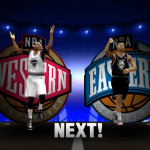 The teams will still be referred to as the East and West All-Stars, to avoid inaccuracies in Franchise mode. 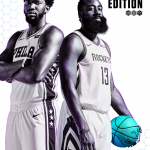 All-Star content has also been added to NBA Live 18 Ultimate Team. 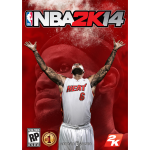 Several gameplay tweaks have also been made in Patch 1.11. 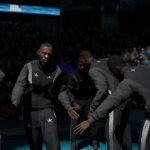 Inside shots have been tuned for a lower success rate on contested attempts, anklebreakers have been adjusted, and various changes have been made to Playstyles and Traits. 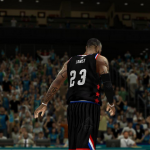 New faces have also come through for several players, including LeBron James, Kyrie Irving, and Lonzo Ball. All in all, it’s quite a substantial update. Please see below for the full patch notes; you can also find a complete update history here in our Wiki. 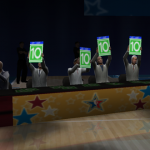 Feel free to add your thoughts in the comments below, as well as in this topic in the NBA Live 18 section of the NLSC Forum.